We’re always glad when Violet is read by national newspapers, so we squeaked with joy when we discovered Violet’s own reporting on Lucy Cavendish’s guinea pigs was echoed by the UK’s second-most widely distributed daily newspaper, The Daily Mail. Violet was left with many questions after reading this headline. 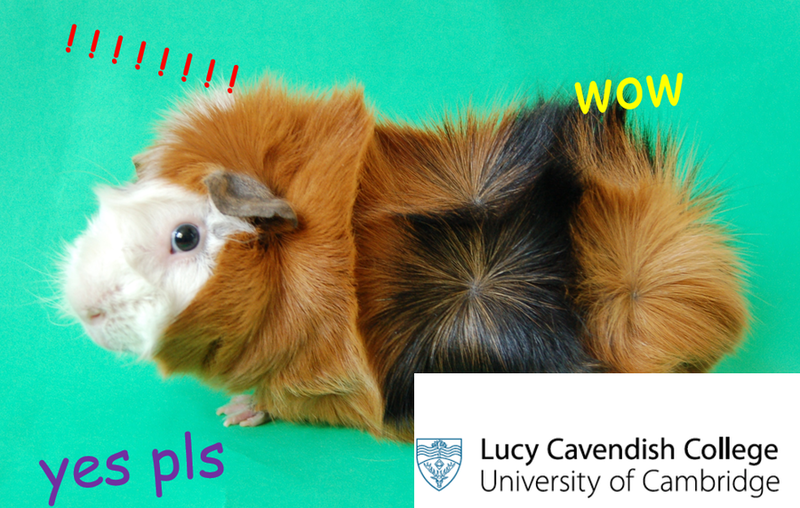 How CAN Lucy Cavendish let its students own GUINEA PIGS? How dare they name them after FEMINIST ICONS? And what do SNOWFLAKE STUDENTS mean for Western civilisation? Luckily, in the comments section, the Mail’s dedicated posse of keyboard warriors were on-hand to provide answers to these pressing concerns. Avid readers didn’t hold back in drawing the blatant parallels between the ‘snowflakes’ at Lucy Cavendish, and the seeming cultural and political decline of the West. ‘Concerned79’ saw this news as a damning indictment of our nation: “God help us if these people are the future of our country”. Jay H. from Birmingham, meanwhile, was more concerned with rodent well-being, writing: “God help the Guinea Pigs”. The article goes on to outline the scheme at Lucy Cavendish, quoting Student Union Officer Laura McClintock, and speaking to the Senior Tutor about the pig-nificance of this guinea-ormous event.